Specialized automotive storage systems and hanging racks provide efficient storage for floor mats, hanging parts, tires, windshields, and other specialized automotive items. 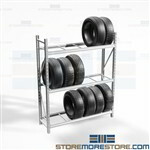 Automotive bulk storage racks are designed specifically for organizing and storing car and truck parts such as floor mats and mufflers. 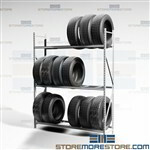 Tire racks provide accessible and space-saving storage for properly storing tires, mufflers, tailpipes, and other automotive parts. 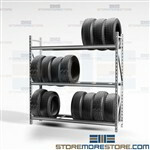 Windshield storage racks are designed for organizing and storing car and truck parts efficiently. 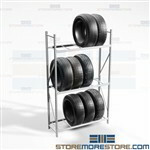 Windshield racks prevent damage from stacking and allow for improved access and protection.